HomeCaptain Underpants is Flying to Koalakrane Machines! Fans of the highly popular children’s comic book will be delighted as beloved characters of Captain Underpants head their way to Koalakrane claw machines! Captain Underpants may seem like the most odd-looking of heroes, there’s no doubt how his innocent yet entertaining personality make him an instant crowd favourite. With its first movie adaptation entitled “Captain Underpants: The First Epic Movie”, Captain Underpants has not only captured the hearts of avid comic book readers, but of entire families as well. 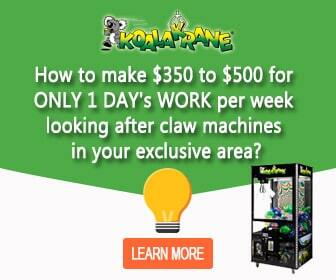 Don’t miss out on amazing new prizes when you beat the Koalakrane claw! With every try, players get the chance to win all four characters, including Harold Hutchins, George Beard, Captain Underpants, and Professor Pippy P. Poopypants! The entire gang is sure ready to get out of the skill tester machine to get some hugs and cuddles! Don’t wait until Captain Underpants flies away to get into some trouble. Get all four adorable characters from your nearest Koalakrane machine now!